Show them who is in charge! Our My Kitchen My RULES! Shirts & sweatshirts come in this multicolored print on either an apron, mug or shirt! 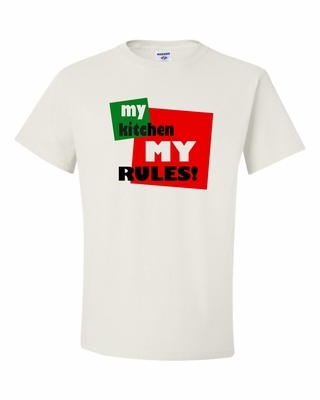 Remember� you found the My Kitchen My RULES! Shirts at TShirtHub.com, where high quality came at a low price.